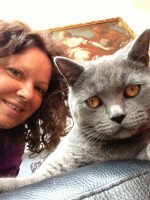 The company Catnips was founded in 2009 by Anita Kelsey, certified feline behaviour counsellor BA Hons 1st (MCFBA/CIDBT). 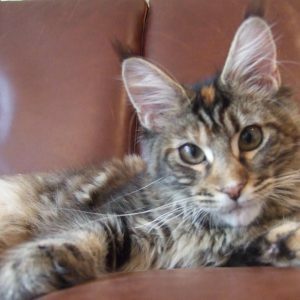 Anita set out to establish a cat only care company servicing the areas of Notting Hill, which turned into a very successful business. It was during her years managing Catnips that Anita started to study cat behaviour enrolling in a two year course with cat biologist and behaviourist, Roger Tabor, before going on to study for a further three years at Middlesex University. Before her behaviour studies Anita trained 6 days a week, for 5 weeks, in a working cat grooming salon achieving a master cat groomer level. After much hard work Anita set up her mobile cat grooming business under the umbrella of Catnips. 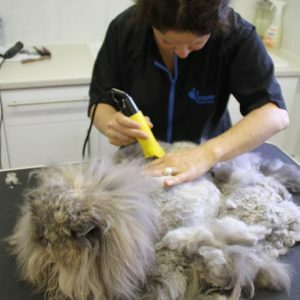 Years of experience working with all kinds of cats has enabled Anita to hone in on an unique cat grooming style which involved the study of low stress handling techniques and a way of working with the cats she grooms rather than working against them. Anita achieved a first class BA Hons after presenting her cat behaviour practice to do the work based University course. He degree is in feline Behaviour and Psychology. She has been accepted and accredited as a full member of The Canine and Feline Behaviour Association and is one of their regular contributors on feline related articles for their on-line magazine. Pet Style Magazine Style Tails. She is also on the expert panel for Your Cat Magazine and writes on a regular basis for The Vet Times, Your Cat and Cat Blog Katzenworld. Her cat behaviour practice, based in the heart of Notting Hill, is doing extremely well and is well known by vets all over London. 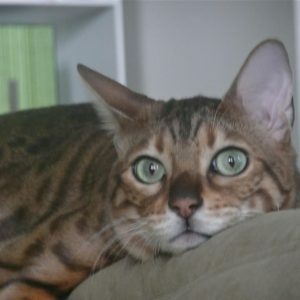 A strong supporter of The Mayhew Animal Home Anita occasionally offers up her time to assist as a volunteer cat re-homing officer, which involves visiting peoples homes to ensure they are suitable for the cat in question. 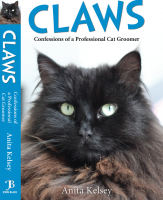 Anita's debut book 'Claws - Confessions Of A Cat Groomer' was released on 7th September 2017. Published by John Blake it can be purchased on Amazon HERE. Catnips continues to grow as a company and really is a one stop shop for all things exclusively feline. The philosophy behind Catnips is one of compassion and love for all sentient beings we share the planet with and that includes - CATS! Please look at the CAT ADVICE PAGE for handy cat tips.